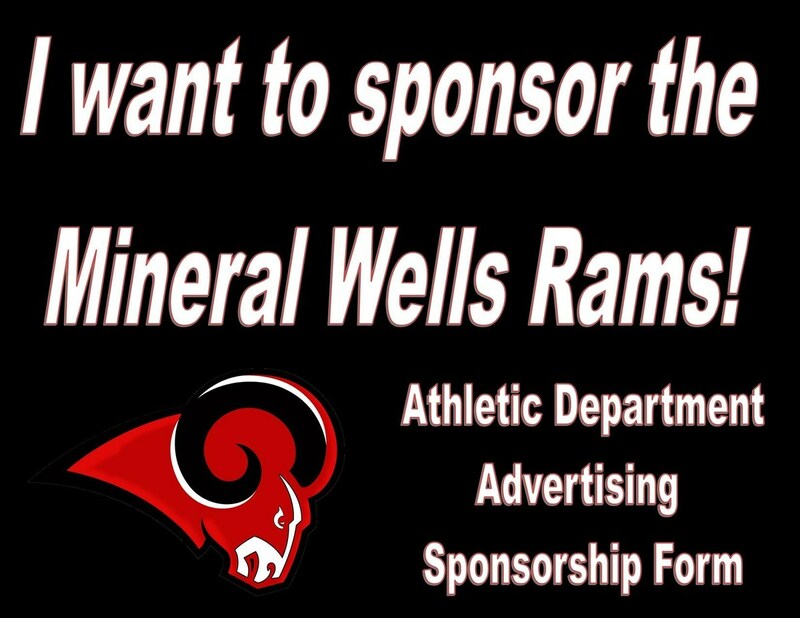 The Mineral Wells ISD Athletic department offers a comprehensive advertising platform for businesses to reach our passionate supporters. The range of sponsorship and advertising packages available can provide your company with the perfect platform to reach a new local audience. The Athletic department is an integral part of the total educational process of Mineral Wells ISD. Being involved in athletics provides students with opportunities to develop leadership skills and to learn the principles of fair play and ethical behavior which are necessary for the competition and cooperation in our society. It also provides our students with unique opportunities to develop skills of self-discipline, self-sacrifice, and loyalty to the community, school, and the team. We are asking that you please support our teams by sponsoring us for the 2018 season. Your sponsorship will help the teams function and grow. This is an opportunity for you to give your business valuable exposure to the local community at our home events. 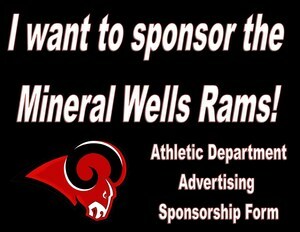 The Mineral Wells Rams are also very committed to giving back to the community. Every athlete is required to serve volunteer hours in the community before they receive their athletic pass. We greatly appreciate your help and support, and we look forward to seeing you at all of our home events If you have any questions feel free to contact Coach Perry at (940) 325-4408 ext. 7508 or Karyn Bullock, Communications Director at (940) 325-6404 ext. 5108.